Leurini, Claudia. 2017. Hymns in honour of the hierarchy and community, installation hymns and hymns in honour of Church leaders and Patrons. Middle Persian and Parthian hymns in the Turfan Collection. Turnhout: Brepols Publishers. This volume presents texts in the Iranian languages, Middle Persian and Parthian, preserved in the Berlin Turfan Collection. These hymns are predominantly in Middle Persian. They were identified by M. Boyce in the registers of her Catalogue of the Iranian Manuscripts in Manichaean Scripts in the German Turfan Collection as “Hymns in Honour of the Hierarchy” and “Installation Hymns, Hymns in Honour of Church Leaders and Patrons”. Few of the fragments have been published, and mainly in editions dating back to the time of their discovery. New and updated readings, transliterations, translations into English, notes and commentaries are provided here for all the fragments identified by Boyce. The Introduction provides a description of the main features of the hymns to the Manichaean elect hierarchy, to the local hierarchies, and to the hierarchies of the Hearers, as well as of the installation hymns, and those in honour of high clerics and lay patrons. Reflections are provided on the use of cryptography in the Manichaean texts in Manichaean script, and about the learning habits inside scriptoria in Manichaean monasteries in Central Asia, the existence of which has long been suspected. The volume contains a complete glossary and bibliography, as well as facsimiles of joined fragments. In this issue of L’Histoire, entitled Les mondes d’Alix and dedicated to the graphic novel series Les voyages d’Alix, specialists of antique history explore various aspects relating to the world and time of the novels. The historian Giusto Traina writes on the Parthians. Traina, Giusto. 2018. Les Parthes aux marges de l’empire. L’Histoire 6. 66–71. Maksymiuk, Katarzyna & Gholamreza Karamian (eds.). 2017. Crowns, hats, turbans and helmets. 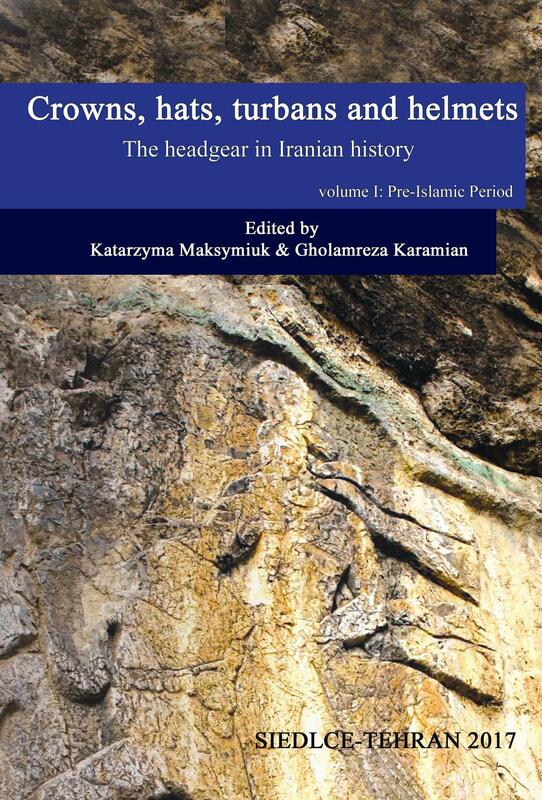 The headgear in Iranian history. 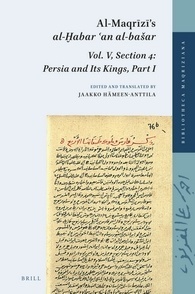 Volume I: Pre-Islamic Period. Siedlce & Tehran: Siedlce University of Natural Sciences and Humanities. Dan-Tudor IONESCU: The Use of the Tiara as symbol of Persian Achaemenid Kingship: why Alexander the Great didn’t adopt it? Lieu, Samuel N. C. (ed.). 2017. Manichaeism east and west (Corpus Fontium Manichaeorum. Analecta Manichaica 1). Turnhout: Brepols. This new volume brings the research on many aspects of the texts published in the Corpus up to date and signals new texts to appear in the Corpus. It includes important studies on the scientific dating of the Medinet Madi, codices as well as the newly discovered Manichaean texts in Chinese and Parthian from Xiapu in South China. Butcher, Kevin & Heidemann, Stefan. 2017. Regional History and the Coin Finds from Assur: From the Achaemenids to the Nineteenth Century. (Wissenschaftliche Veröffentlichungen der Deutschen Orient-Gesellschaft 148). Wiesbaden: Harrassowitz Verlag. In July 1914, the excavation of one of the most significant capitals in human history, Assur, ended successfully. After a division of finds, the objects were dispatched to Berlin on the eve of the First World War. Assur is currently the most important reference site for coin finds in northern Iraq. They constitute an independent source for the history of the settlement, the Tigris region, and for coin circulation after the fall of the Assyrian empire in 614 BC, from the Achaemenid to the late Ottoman empire. These coin finds fill an important gap in the history of Assur, whose name in the post-Assyrian period is hardly attested to. For the Arsacid period, the coin finds highlight the surprising permeability of the border from the Roman provinces to Arsacid north-eastern Mesopotamia. With the Sasanian conquest in about 240/1, life in Assur apparently stopped. For the following 1,600 years we can distinguish at least three separate settlement phases, and almost each phase corresponds to changing names for the city. While we do not know what the settlement between the 7th and 8th century was called, in the 12th and 14th centuries it was referred to as al-‘Aqr. For this period, we have more literary references to its history, at least compared with the preceding 1,800 years. The coin finds, together with the textual references, allow for an insight into the political and economic development of “a large village”. For the 17th and 18th centuries, the coins point to a revived settlement, now under the name of Qal’at Shirqat.